One of your regular correspondents has for years written letters all with a clear bias against our creator and the community established in his own body by Jesus Christ, the son of God. One admires all who search unstintingly for truth, even if one disagrees. The beauty of dialogue is that it can deepen discovery. So in one of his letters, Einstein was enlisted with an opinion that the word God pointed only to an image made in man’s own likeness – simply a commonly shared figment of the imagination; and as such, implying that God does not exist. I had not known that such an eminent scientist had expressed such an opinion, although I was once intrigued to hear that the same scientist, who was able to use his own imagination so well as to discover that space and time are interchangeable and that time curves – something that I myself can neither understand nor imagine, but am nonetheless intrigued by the idea, because I did read somewhere that this same great scientist was very interested in the Eucharist. In fact, I’m grateful to him because I can imaging as a present reality that if time and space are interchangeable and Jesus Christ is alive in heaven, then the Eucharist is the perfect future derivative that delivers what it promises. So scientific hypotheses, including the big bang and now quantum realities, are helping me appreciate more completely eternal life through the death, resurrection, and the mystical nature of baptism therein. It’s in this context that the general method of scientific thinking, when careful and unbiased, can help through human experience to come back to the God-question. So my feeling for science have brought me to agree completely with the Bible where it says “the fool says in his heart, there is no God” (Psalms 14 and 53) from personal experience. At point of death I realised that this was a perverse thought imagined for the comfort in the mind of not admitting to one’s own prideful errors deep in our souls and deciding that these errors are not our fault but are due to God himself being unjust. This is the height of pride as a result of which we disagree with God’s justice that we will have nothing to do with him in eternity, choosing to be lost in matter in purposeful isolation for ever, even if he is the winner in life, so to speak. 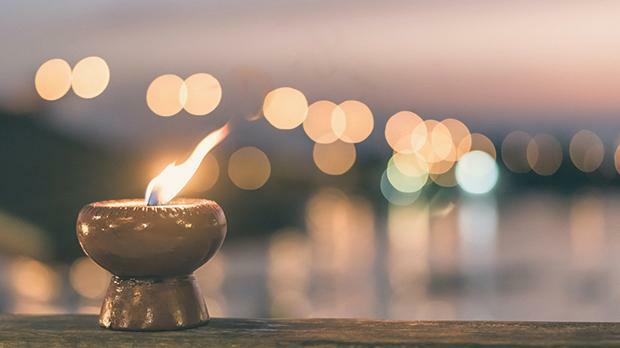 You can avoid this hellish decision simply by saying to yourself in your heart that God does not exist and your life will be snuffed out completely like the flame on the candle. Thank goodness that your mind can rescue you even at the last breath of your life on earth. In my case, many years ago I was perverse enough to await my last moment after a serious accident with this foolish comfort when a cry from the very essence of my being called out for mercy, which I felt immediately and understood that God is so good that his mercy is greater than his justice. Thank God our intellect can finally see how false it is to imagine that its okay for everybody to be snuffed out like candles irrespective of the good and unrepented evil in their lives. This is science and faith in perfect harmony. With regard to your idea that God is evil because of natural disasters, or even for permitting what appear to be natural material aberrations from the norm, to say nothing of human evil itself, the general empirical methodology of thought can help us because science will help us arrive at the reflection of the reflection of the intimate nature of God as Trinitarian in our soul and the purpose of freedom to reach out to one another in our troubles in him in a natural way. This is because he is perfect, almighty, just, merciful, and infinitely good. Bias and sin and their memory lurk deep in us, but our identification with Christ through God loving us even when we do not love him is the way forward towards the future of man in which right and wrong in the exercise of freedom is a sine qua non in the search for the truth that frees us. I wish your correspondent John Guillaumier well, and hope to meet him one day in our old age before we finally die and share the same happiness in God’s eternal love. I do agree meanwhile, that it’s not very kind to use the Bible to accuse rather than enlighten. However the hurts we suffer in retrospect often turn out to be occasions when we grow in love to one another in response to the nature of God’s love. My recommendation to the true Maltese is to get deeper into St Paul and St Peter’s thinking to understand how true Christian humanism helps man avoid the bad side effects of science; for scientific process need not be accomplished in the spirit of lies, but is better accomplished in the progress of true love. Peter Cassar Torreggiani is a 79-year-old pensioner doing a Masters Degree in knowledge-based entrepreneurship at the University of Malta.